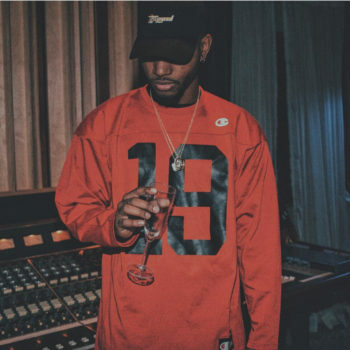 Its been just over a year since Bryson Tiller released his debut album, TRAPSOUL, to the world. The album not only reached platinum status earlier this year, but propelled Tiller’s career into the spotlight. While, Tiller may not be a household name just yet, his popularity is undeniable and although being shy in the public eye, its obvious the right people have taken notice. On our last episode of The Rap Up, host TJ Mroz, predicted his shyness this year, and recent decision to release a new single “Let Me Explain”, pointed to a completed sophomore album. The next day, Tiller took to Instagram to confirm just that. While details of the album are not in abundance, expect this project before the year is over. It would make sense for Tiller to have new material to perform while performing with The Weeknd during their recently announced European tour. The highly anticipated DC4 (Dreamchasers 4) mixtape was released on October 27, 2016. For as long as it took for the release of this album, it was not as good as it could’ve been for as long as it took. The project was extremely repetitive and followed the exact format of the previous Dreamchaser projects. Meek Mill has been in the media regarding a lot of negative press over the past year, the release of this project has been a positive for him. There’s no doubt that Meek is sticking to the core “street rap” that he does, his cult fans definitely do appreciate him sticking to what he does best. For someone who’s a harsh critic Meek seems very complacent and uninspired. Dropping this project was supposed to be a comeback for Meek and to some fans it may seem like he made a good enough come back but to the masses it wasn’t impressive. Has Meek plateaued? Will he get better? Or is all we’re ever going to get from Meek is him rapping about his rollies and his cars, and bikes? Only the future can tell.